I have decided socks are a rather sensitive subject in most homes 😉 If anyone stumbles onto the perfect way to keep socks orderly and neat and in pairs please do let me know! And if you missed my post about Sorting Socks you can find it here. Now I want to share something much more fun and beautiful than socks, even socks in neat, tidy pairs. 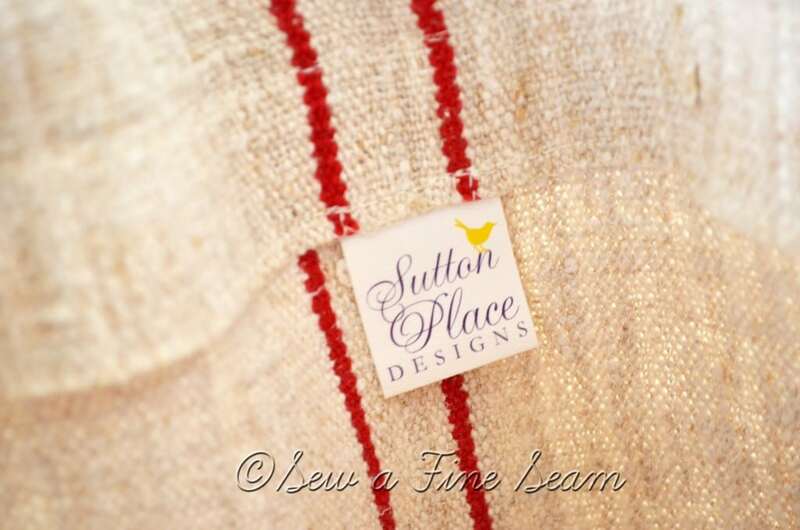 I mentioned in this post that I had purchased a grain sack tote from Sutton Place Designs. 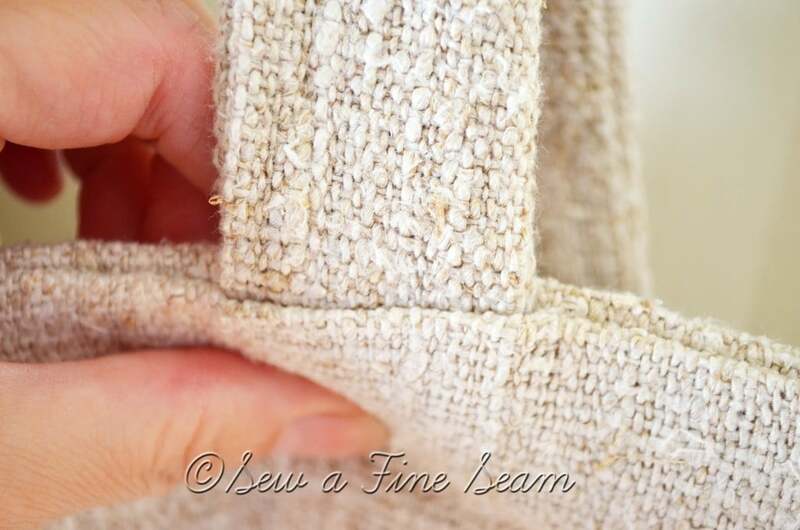 I love antique grain sacks. I could very easily become a hoarder of antique grain sacks. At least stacks and stacks of grain sacks would be prettier than stacks of newspaper or old shoe boxes! 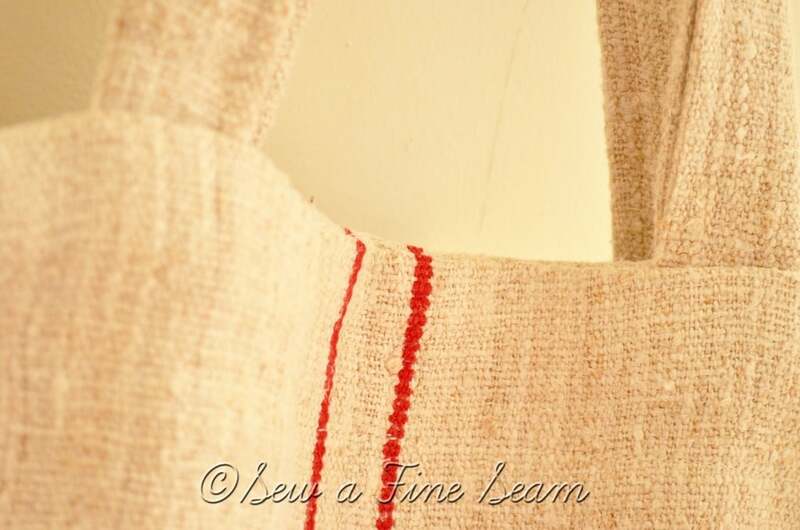 I know I could have made my own grain sack tote, but Ann had one that I really liked, already made, she had a sale the beginning of the year, and besides, when would I ever find time to make a tote for myself?? Seriously. 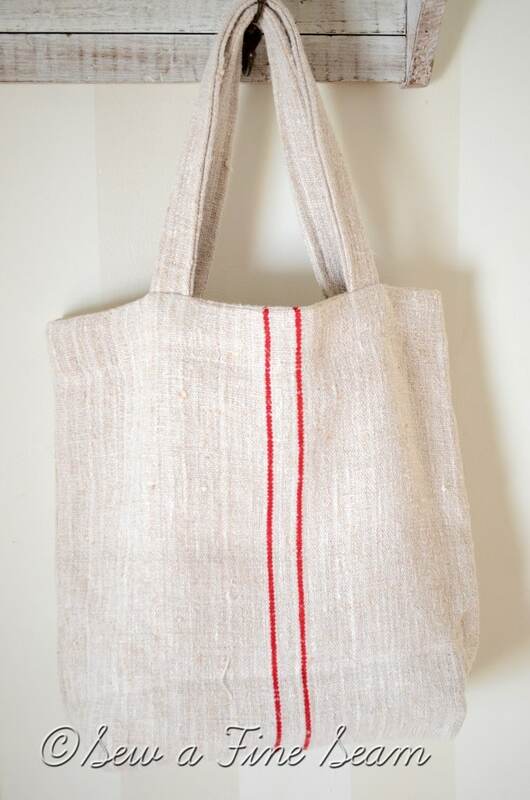 And after the grain sack tote arrived I decided I probably couldn’t make one as well as Ann did! I am seriously impressed with her sewing skills. Go check out her shop and I can assure you that anything you purchase from her will be very well made – highest quality you can find! I’m crushing on her United States flag pillow – wish I’d thought of that one first 🙂 The tag she sewed inside the tote is so professional and sweet too. It matches her blog and her etsy shop and I think that is totally cool. 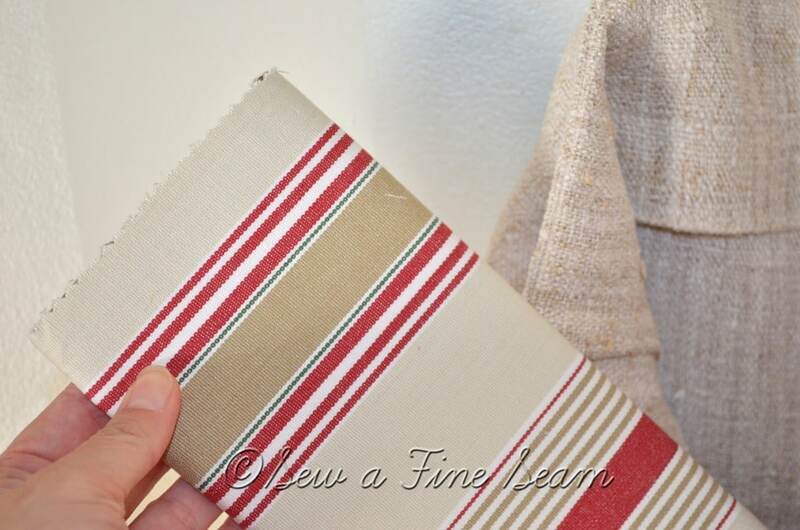 In the bottom of the tote is a piece of thick cardboard covered with a lovely striped cotton fabric. Really adds a nice touch of structure to the tote. It is removable so if you needed to wash the tote you could take the fabric covered cardboard out first. The first photos show the color more properly but it looked so pretty in the sunshine the other morning I had to share this photo too. Warm sunshine makes anything happy! Go visit Ann and tell her I sent you! She has become a great friend and I really hope to meet her IRL sometime soon! The tote looks absolutely adorable. It’s really hard for me to meet a bag or tote that I don’t like though. I could become a hoarder of bags…but they do have to qualify as cute or adorable! oooo. i love a tote bag. i have a lot of them. a lot. well, i guess “a lot” is relative – it seems like a lot to my husband! maybe I’ll have to have one like this. . .
🙂 Men always think we have a lot of bags and a lot of shoes etc. My husband can’t seem to figure out that I am an accessories person!! I love that tote! I love anything that Ann does and especially if it involves grainsack. I know you will enjoy using it. 🙂 I totally agree with you Kelly! Yes, Ann is the best! So glad we made contact and are friends now! 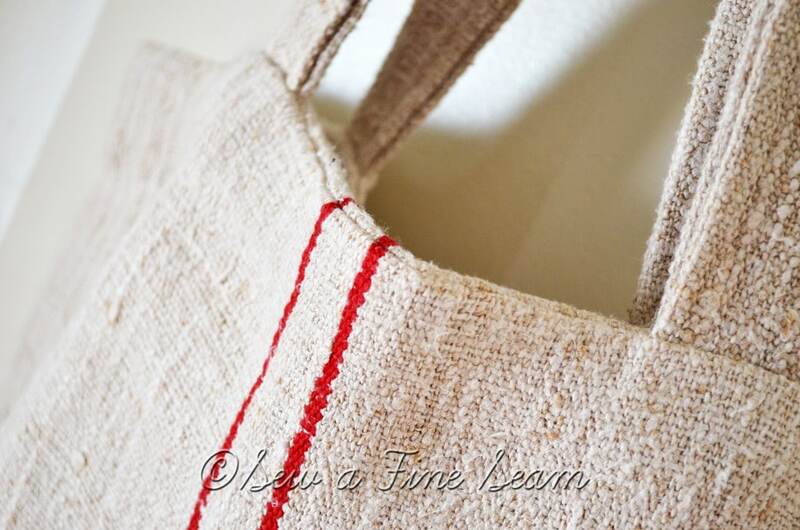 It is wonderful Daniela – if you want a grain sack tote Ann has a couple more in her shop! I had to giggle when you said, when do you have time to make something for yourself. Chances are, if you did make a tote for yourself, you’d sell it :). This one looks great. 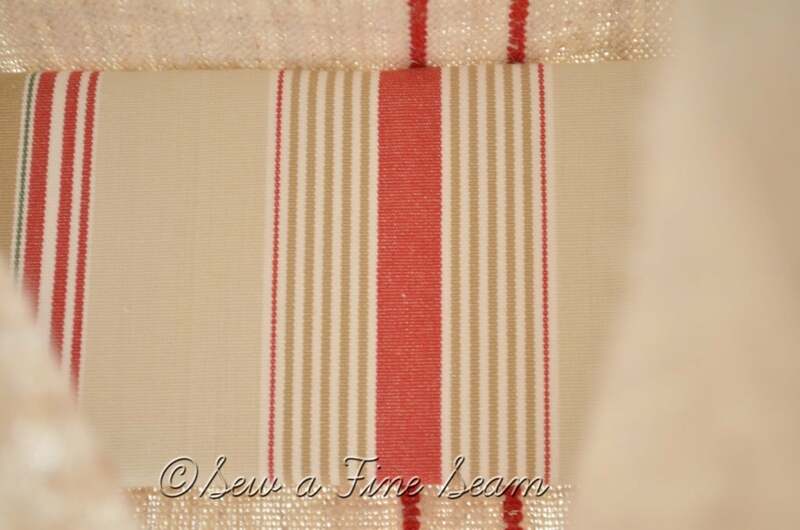 I am headed over to see the American flag pillow right now! You know me too well Amy! ‘The cobbler’s children always went barefoot – the seamstress never makes anything for herself’!! Beautiful. You are right about the sunlight. Love all your shots. What a cute tote! I love her sweet little tags. I’ve been wanting to do those for ever and still haven’t! Wonder if she has ever written about how she does them or if she orders them? I know exactly what you mean about not having time to make it for yourself! Sonya, I would say she orders them from somewhere since they are printed. I’m sure she would be glad to share where she got them! Thank you Jamie! I will be by to check your blog out too!